ONE owner, custom built home in popular Stuarts Draft! 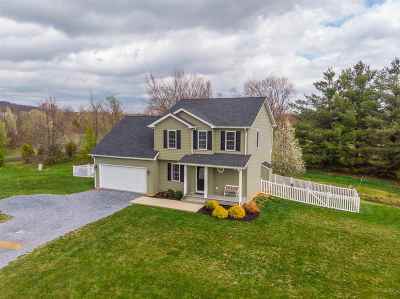 Nestled beside a babbling creek offering 3-4 bedrooms, 2.5 baths, 2 car garage, everything on your checklist! AND 1/2 acre lot, rocking chair front porch, vinyl fencing in the backyard for Fido! Inside this home is very tastefully designed, neutral palette... looks like it is right out of a magazine! Hardwood floors, open main floor, clean and well maintained! Finished bonus room upstairs serves as that 'extra space" or potentially a fourth bedroom if needed? Located on a low traffic street in a great walking neighborhood with MOUNTAIN VIEWS! Better hurry surely won't last long!